Mr. Darcy is a fictional character. He is made up. He does not exist. He is part of the bleedin’ Choir Fictional. He’s not pining for the fjords. If he weren’t nailed to the perch written on the page, he just would not be. It’s time to stop declaring some casual acquaintance of Jane Austen’s as “The Real Mr. Darcy.” Just stop it now, because (as Georgette Heyer characters would say) you’re making a cake of yourself. Alert Janeites Lisa and Kay sent us two articles about this silly Blackall book, one slightly less silly in The Telegraph and one rather sillier in the Daily Fail Mail, sillier mainly because it’s longer and more detailed and therefore contains a greater concentration of pure silliness. Oh, yes, Jane never wrote ANYTHING nasty or mean or snarky in her letters. So unlike her. Actually, we’ve always read that letter not as “sour grapes” or wishing an unpleasant wife on Mr. Blackall but as stating that such a wife would suit him best, as he was less than desirable as a partner himself. The fact that Cassandra burnt a substantial number of letters is seen as indicative of the anger between them. Back there again, are we? Once again: the letters were burnt because THEY WERE NOBODY’S BUSINESS BUT JANE’S AND CASSANDRA’S. 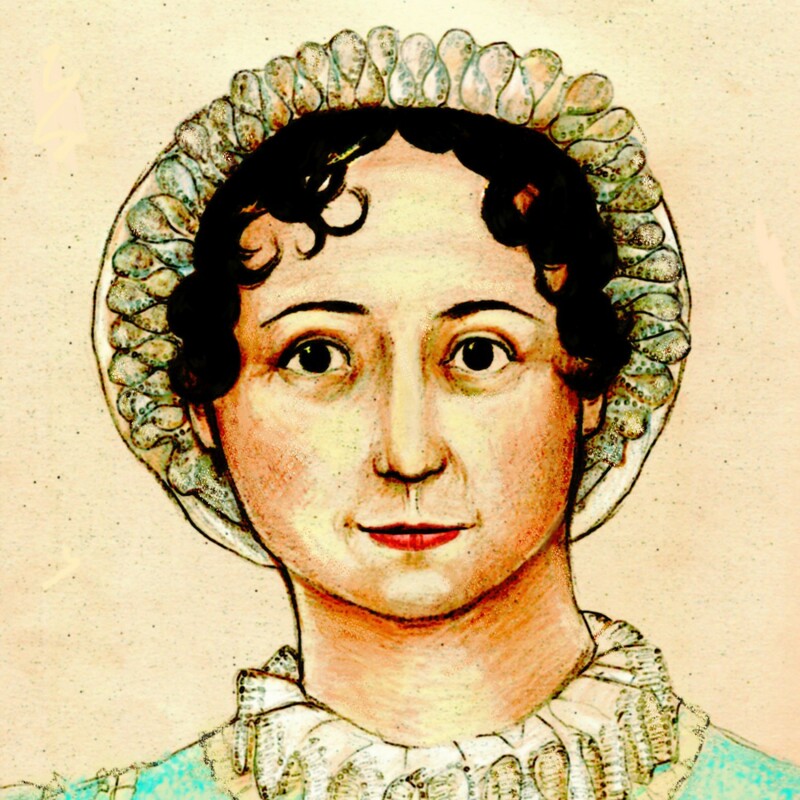 There is no conspiracy to hide Jane Austen’s Top Seekrit Romances from a curious and impertinent Publick. Stop making stuff up. As further proof of the rivalry, Dr Norman points to a poem written by Jane in 1807, discovered among her letters. It is entitled ‘Miss Austen (Cassandra)’ and describes her love. And this poem we’ve always read as silly wordplay, as a wordsmith with an excellent ear stretching for rhyme and meter and scan, not as Deep Significant Messages. It’s a bit of doggerel poetry. Stop making stuff up. Dr Norman said: ‘I have proved it beyond reasonable doubt that Jane and Cassandra fell out. ‘When you read Jane’s letters she’s often complaining that Cassandra’s not there when she should be, and it seems as if the feud carried on for much of their lives. Has anyone else read Jane Austen’s letters and got that from them? I’ve never read anything in them but affection and occasionally a touching wish for her big sister’s approval. And Cassandra’s words in the letter she wrote to Fanny Knight about Jane’s death are not the words of a woman plagued by guilt and regret, remembering a sister whom she wronged and with whom she feuded for years. I have lost a treasure, such a sister, such a friend as never can have been surpassed. She was the sun of my life, the gilder of every pleasure, the soother of every sorrow; I had not a thought concealed from her, and it is as if I had lost a part of myself. I loved her only too well–not better than she deserved, but I am conscious that my affection for her made me sometimes unjust to and negligent of others; and I can acknowledge, more than as a general principle, the justice of the Hand which has struck this blow. That anyone would pervert that for their own ends makes us very cross.